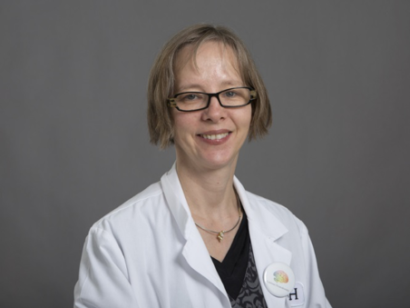 Deborah Hall MD, PhD is an adult neurologist and movement disorder specialist at Rush University Medical Center in Chicago. She received her MD from Indiana University and her PhD from University of Colorado, where she completed residency and fellowship. She has training in genetics, epidemiology and human subjects research. She conducts research primarily in two areas. Her work in Parkinson’s disease focuses on early interventions, such as neurotrophic factors and exercise, genetics and genomic causes of disease, and treatment for complications including falls. 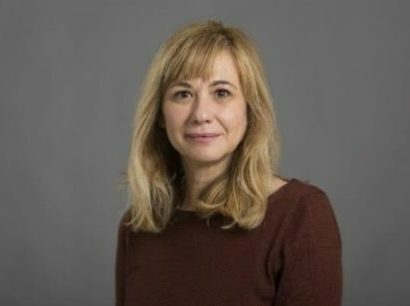 She also conducts research in the field of ataxia, specifically fragile X-associated disorders, by investigating epidemiology, clinical features of movement and balance, and interventions. 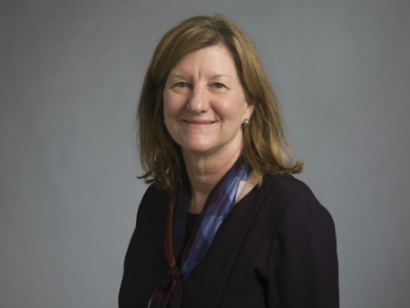 She has been National Institutes of Health funded for the last ten years as a primary investigator and she received the Rush University Faculty Award for Research in 2014. She is the Chair of the Rush Institutional Review Board, which reviews research studies at Rush. She has a busy clinical practice focused on movement disorders within the Department of Neurological Sciences at Rush. She is the Director of the FXTAS Clinic at Rush and the Movement Disorder DNA Repository within the Section of Movement Disorders at Rush. In addition, she is Clinical Director of the Neuroscience block for the first year medical students at Rush University. 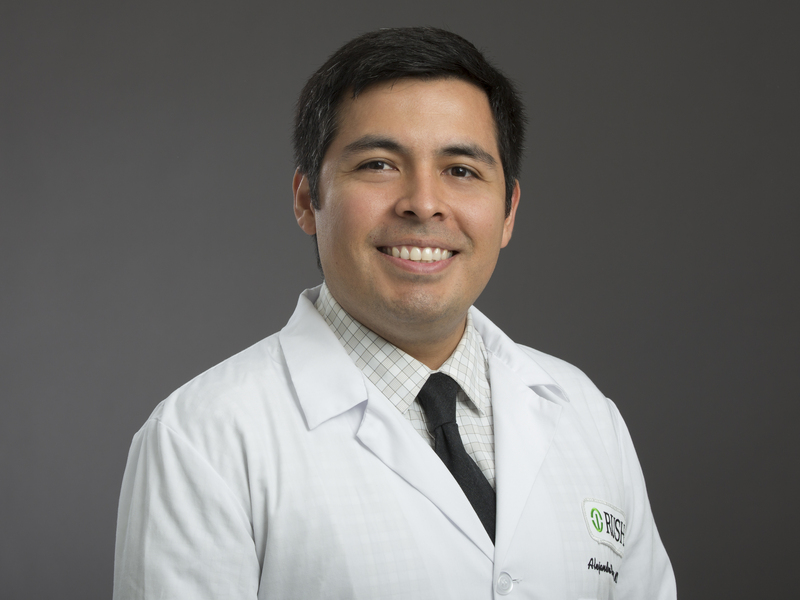 George Lopez, MD, PhD is a neurointensivist, a neurologist with specialized training in the care of patients in the intensive care unit with acute neurological diseases. He also has specialty training to care for patients with cerebrovascular diseases. He is board certified in neurology, neurocritical care, and also vascular neurology. As a neurointensivist, he has specialty interest in acute brain injuries including intracranial hemorrhage, subarachnoid hemorrhage, acute ischemic stroke, acute head trauma, coma and cardiac arrest. He is a member of various professional societies, including the American Academy of Neurology, the American Stroke Association, the Society of Critical Care Medicine and the Neurocritical Care Society. Additionally, he regularly presents lectures at national and international meetings on advances in neurocritical care, minimizing secondary brain injury, and new stroke treatments, with an emphasis on practical clinical implementation. Igor Koralnik, MD is the Chairman of the Department of Neurological Sciences and Head of the Section of Neuroinfectious Diseases at Rush University Medical Center. 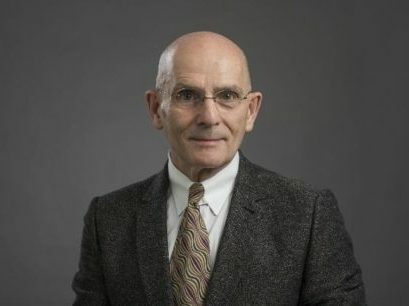 He is President of the International Society for NeuroVirology and is an internationally recognized expert in the management of neurological complications of HIV infection, as well as a leading researcher in the investigation of polyomavirus JC, the etiologic agent of progressive multifocal leukoencephalopathy, or PML. PML is a deadly demyelinating disease of the brain occurring mainly in immunosuppressed individuals, for which there is no cure. His laboratory has used PML as a model to understand broader principles of neuropathogenesis associated with demyelination, neuronal injury, central nervous system inflammation and seizure development. In addition, Dr. Koralnik directs the Neuroimmunology Fellowship Program at Rush University, in which fellows rotate in both the multiple scleroris and neuro-HIV clinics and learn to care for patients over the entire immunologic spectrum. Koralnik has also created a global neurology research program in Lusaka, Zambia, where he and fellows study opportunistic central nervous system infections and new onset seizures in HIV-infected patients. Antoaneta Balabanov, MD is an Associate Professor of Neurology and senior attending physician at Rush University Medical Center. She is board certified in neurology and epilepsy. Dr. Balabanov obtained her medical degree from Medical Academy, Sofia, Bulgaria. She completed her neurology training at Henry Ford Hospital, Detroit, Michigan, and neurophysiology/epilepsy training at Rush University Medical Center. Currently, Dr. Balabanov is the Medical Director of the Rush Epilepsy Clinic and Director of the Epilepsy Fellowship Program at Rush. In addition to medical, surgical and brain stimulation treatments of patients with epilepsy, Dr. Balabanov is involved in research clinical trials. She has special interests in alternative treatments of epilepsy, especially dietary treatments of epilepsy. She has established and is currently running a clinic for dietary treatments of epilepsy at the Rush Epilepsy Center. Dr. Balabanov is a member of the American Academy of Neurology, the American Epilepsy Society, and the American Clinical Neurophysiology Society. Meagan Bailey, MD is an assistant professor of the Department of Neurological Sciences within the movement disorders section. She completed her neurology residency at Wake Forest University Baptist Medical Center before coming to Rush University Medical Center to complete a fellowship in movement disorders neurology. Her primary research interests are in impulse control disorders related to dopaminergic therapy that are used to treat Parkinson’s disease and other related movement disorders. She has been actively involved in translational research within the laboratory of Celeste Napier, PhD, working with parkinsonian rat models that display impulsivity when given dopamine agonist medications. Her goal is to elucidate the underlying neuropathological changes that occur when these medications are administered as well as to find a treatment for patients who suffer from impulse control disorders. 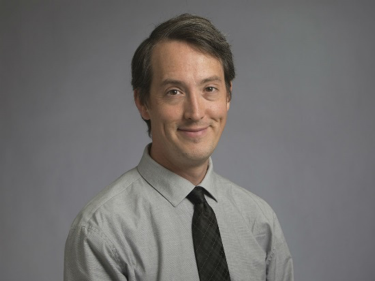 Torrey Boland Birch, MD is an assistant professor in the Department of Neurological Sciences at Rush University Medical Center, as well as the Rush Neurocritical Care Fellowship director. She completed her residency in neurology at Thomas Jefferson University Hospital, along with a fellowship in neurological critical care in the Harvard Medical School/Massachusetts General Hospital and Brigham and Women’s Hospital combined program. She is board certified in neurology with subspecialty certification in neurocritical care. Her interests include subarachnoid hemorrhage, encephalitis, intracerebral hemorrhage, stroke and brain death. She also serves on the Advisory Council for the Gift of Hope Organ & Tissue Donor Network. 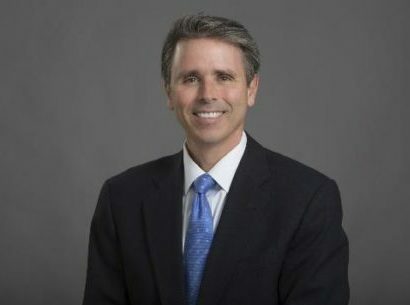 Thomas P. Bleck MD, MCCM, FNCS is professor of neurological sciences, neurosurgery, internal medicine (in the division of pulmonary and critical care medicine, and the section of infectious diseases), and anesthesiology at Rush University Medical Center, where he is a neurointensivist and the director of clinical neurophysiology. From 2009 – 2015, he was the associate chief medical officer for critical care. He is an ex officio member of the board of directors of the Neurocritical Care Society, of which he was the founding president. He serves on the editorial boards of Neurocritical Care and Annals of Intensive Care. From 1992 – 2015 he was the neuroscience section editor of Critical Care Medicine, and in October, 2016 became an associate editor. In 2012, he completed 12 years as a member of the Council of the Society of Critical Care Medicine. In 2015, the American College of Critical Care Medicine and the Society of Critical Care Medicine elected him a Master of Critical Care Medicine; there are 100 masters out of nearly 16,000 members. He was elected to two terms on the board of the American Board of Clinical Neurophysiology. He recently completed two terms on the writing committee of the American Board of Psychiatry and Neurology, and is a member of the American Board of Internal Medicine subspecialty exam committee in critical care medicine. From 1990 – 2006, he directed the neuroscience intensive care unit at the University of Virginia as the Louise Nerancy eminent scholar in neurology. 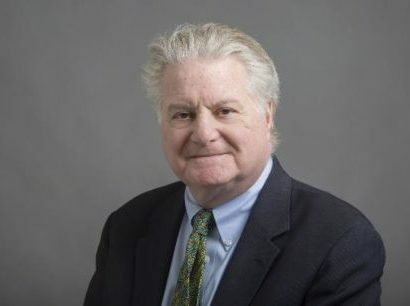 From 2006 – 2009, he was the Ruth Cain Ruggles chairman of the department of neurology at Evanston Northwestern Healthcare, and professor and vice-chair for academic programs of the Northwestern University department of neurology, where he also directed the section of neurocritical care. His research interests include subarachnoid hemorrhage, intracerebral hemorrhage, head injury, status epilepticus, infections, neuromuscular respiratory failure, and the ICU management of the organ donor. He has been involved in therapeutic temperature modulation research since 1999. He has published 181 papers, 129 abstracts, and 175 books and book chapters; and conducted more than 475 national and international visiting appointments and lectureships in 27 countries. He is currently the medical safety monitor and an executive committee member of the NINDS Stroke Hyperglycemia Insulin Network Effort (SHINE), a Phase III trial of tight versus loose control of blood glucose in acute ischemic stroke. He is also the safety monitor of the NIH Phase III trial of deferoxamine in intracerebral hemorrhage (iDEF). He serves on the executive committee of a phase III trial of intravascular cooling after cardiac arrest. He chaired the special emphasis panels that established the Neurologic Emergencies Treatment Trial network (NETT). He then chaired the data and safety monitoring committees of two NETT phase III trials, RAMPART and ProTECT. He serves on the executive committee of the newest NETT study, the Established Status Epilepticus Treatment Trial (ESETT). He currently chairs the DSMBs for a phase III trial of intraventricular nimodipine in subarachnoid hemorrhage, and for a phase III trial of allopregnenolone for super-refractory status epilepticus. Dr. Bleck is board certified in internal medicine, with subspecialty certification in critical care medicine; neurology, with subspecialty certifications in vascular neurology and epilepsy; clinical neurophysiology; and in neurocritical care by both the United Council on Neurological Subspecialties and the Committee on Advanced Surgical Training of the Society of Neurological Surgeons. He currently serves on the professional development committee and the program advisory task force of the American Neurological Association, as well as the practice and maintenance of certification committees of the American Clinical Neurophysiology Society. Richard W. Byrne, MD completed his undergraduate studies at the University of Illinois in 1987 and received his medical degree at Northwestern University Medical School in 1991. Dr. Byrne graduated from the neurosurgical residency training program at Rush University Medical Center in 1997 and joined the faculty after additional training in epilepsy and brain tumor surgery. Dr. Byrne is a board-certified neurosurgeon who specializes in surgical treatment for epilepsy, skull base and brain tumor surgery, pituitary surgery, trigeminal neuralgia and radiosurgery. He has been actively involved in a number of epilepsy and brain tumor surgery trials, basic science research in epileptogenesis and brain tumor genetics and has authored more than 100 manuscripts and book chapters and two textbooks on these subjects. Dr. Byrne has been in practice for over 19 years and has performed over 2,000 brain tumor operations and epilepsy surgeries. 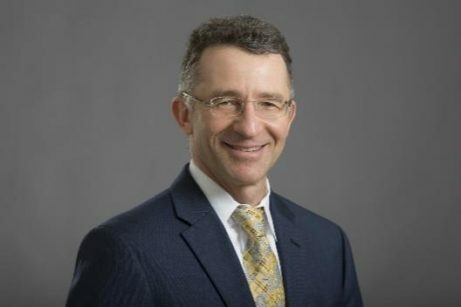 Dr. Byrne is an active member of many professional societies and has served as, President, Rush Surgical Society, President, Chicago Neurological Society, President, Illinois State Neurosurgical Society, President-elect, Neurosurgical Society of America, Chairman, Board of Directors of the Interurban Neurosurgical Society and Board of Directors, Congress of Neurological Surgeons. Michael Chen, MD is an associate professor in neurology, neurosurgery and radiology. He received his medical degree in his home state at the University of Hawaii John A. Burns School of Medicine. His training consists of neurology residency, stroke and neuroendovascular surgery fellowships at Yale, Harvard and Columbia respectively. Chen’s practice focuses on minimally invasive treatments of brain and spinal cord vascular disease. Specifically, he is involved in the study and treatment of cerebral aneurysms, arteriovenous malformations of the brain and spine, intracranial atherosclerosis, carotid artery stenosis, acute stroke thrombolysis, and preoperative tumor embolization of the brain and spine. He has been awarded foundation and industry grants to study brain aneurysms in women and strategies to improve memory after aneurysm rupture. He has been in practice for over 10 years. Chen serves as an associate editor for the Journal of Neurointerventional Surgery. He currently serves as Education Chair on the Society for Neurointerventional Surgery board of directors. He co-chaired the 2017 SNIS annual meeting Colorado. He works actively as a scientific advisory board member for the Niekro Foundation and the Bee Foundation. He has previously served on the Rush University Medical Staff Executive Committee. 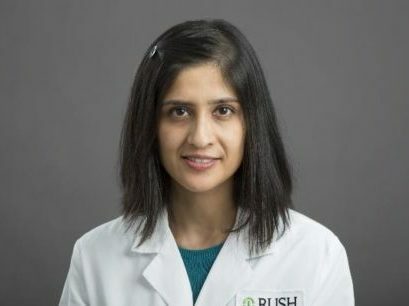 Laurel J. Cherian, MD, MS is an assistant professor in the Department of Neurological Sciences at Rush University Medical Center. She is the director of the Vascular Neurology Fellowship Program and also serves as a faculty advisor to the medical school. Cherian received her medical degree from Loyola University Chicago Stritch School of Medicine of Medicine in Maywood, Ill. She completed neurology residency at the University of Chicago and a vascular neurology fellowship at Rush University Medical Center. In addition to her clinical practice, she has completed a Master of Science degree in clinical research. She is a member of the American Heart Association and the American Academy of Neurology and is board-certified in neurology with a subspecialty certification in vascular neurology. Her clinical interests include peripartum stroke, intra-arterial therapy for stroke, post-stroke depression, and cerebral amyloid angiopathy. Andrew Dorsch, MD is an assistant professor in the Department of Neurological Sciences at Rush University Medical Center. He received his medical degree from Case Western Reserve University. He completed his neurology residency at the University of California, Los Angeles followed by a fellowship in neurorehabilitation. His major interest is the recovery of function after neurologic injury. He is particularly interested in utilizing wearable and wireless technologies to quantify and optimize the process of recovery as it occurs outside of the hospital and clinic settings. Dr. Jori Fleisher is an Assistant Professor of Neurological Sciences at Rush University. 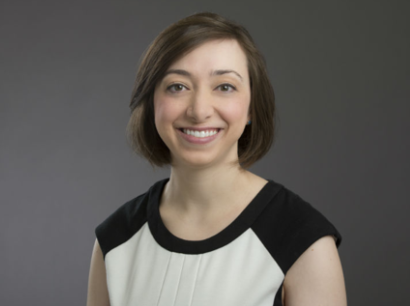 She is a movement disorders fellowship-trained neurologist with a special interest in the intersection of movement disorders, geriatrics, and palliative care. 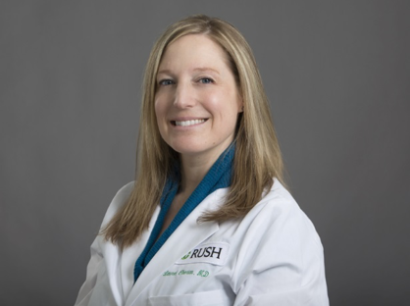 Dr. Fleisher was on faculty at New York University for 3 years where she piloted a novel model of care for patients with advanced PD, before joining Rush in 2017. 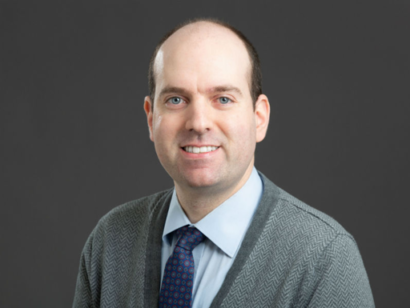 Supported by the NIH/NINDS and CurePSP, Dr. Fleisher has several research studies underway focused on interdisciplinary home visits, telemedicine, and caregiver peer mentoring to improve the lives of patients and families living with PD and related disorders. 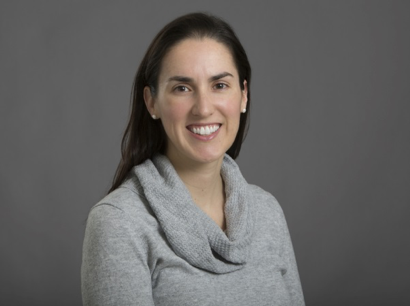 Dr. Fleisher is also studying the impact of karate on mobility, mood, and cognitive outcomes in people with PD, and investigating the prevalence and risk factors for PD in low-resource settings. Dr. Fleisher has been recognized as an Emerging Leader and outstanding patient advocate by the American Academy of Neurology. Christopher G. Goetz, MD is professor of neurological sciences and pharmacology at Rush University Medical Center in Chicago and serves as director of the movement disorders program. Goetz is also the United Parkinson Foundation Professor of Neurology. He is the director of the Rush Parkinson’s Disease Foundation Research Center. Dr. Goetz is a senior Fulbright Scholar and worked for two years at the College de France in Paris. He has served on several national and international advisory boards, including the Tourette Syndrome Association Scientific Advisory Board and Dystonia Medical Research Foundation Advisory Board. He is a reviewer for several journals and is a McHenry Award recipient of the American Academy of Neurology. He is a member of the Movement Disorder Society, the American Neurological Association, the American Academy of Neurology, The American Olser Society, and the French Neurological Society. Dr. Goetz has published over 450 peer-reviewed articles and over 200 book chapters in the field. He has also published and co-authored fourteen books and monographs. He has been one of two co-editors-in-chief of the Movement Disorders journal, and is the former editor-in-chief of Clinical Neuropharmacology. He is the past history section editor of the Archives of Neurology journal, and he has served an editorial board member of the Archives of Neurology. He is an advisory editorial board member of the Journal of the History of the Neurosciences, as well as reviewer for several neurology journals. He has received the American Academy of Neurology Senior Research Award in Movement Disorders (2015) and the Presidential Stanley Fahn Award from the International Parkinson and Movement Disorder Society (2009). He is the president-elect of the International Parkinson and Movement Disorder Society. His major interest is the pharmacology of various movement disorders, including Parkinson’s disease, Gilles de la Tourette’s syndrome, Huntington’s disease and pharmacologic studies of dystonia. He is particularly interested in non-motor aspects of movement disorders, including specifically, hallucinations, cognitive decline and depression. Further research efforts have focused on scale development for evaluating movement disorders, and he has led the Movement Disorder Society Task Force to develop a new version of the UPDRS, termed the MDS-UPDRS, unveiled in 2008. He has a special interest in placebo effects and how they influence the interpretation of clinical trials in Parkinson’s disease and dyskinesia. He has also led pharmacologic and surgical efforts to treat movement disorders. Dr. Goetz and his team are currently investigating the safety and efficacy of gene therapy in patients with Parkinson’s disease and are involved in other studies aimed to prevent the progression of Parkinson’s disease in its early stages. He is an active researcher in the history of neurology and has written extensively with his major research interest being the study of nineteenth century French and U.S. neurology with particular interest in J-M. Charcot and his school. He has written the definitive biography of Charcot (Charcot: Constructing Neurology, Oxford University Press) and Charcot: The Tuesday Lessons (Raven Press). 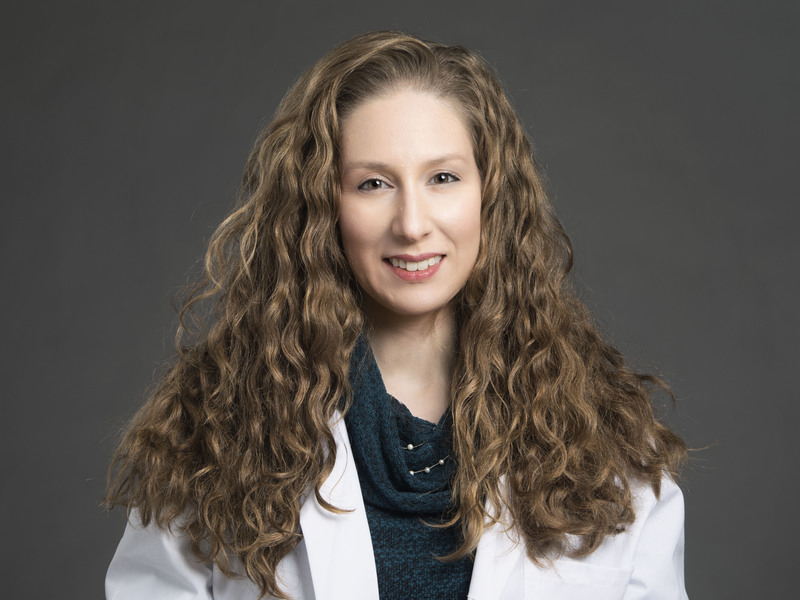 Laura Goldstein, MD is a general neurologist whose clinical interests include headache, movement disorders, cognitive disorders, epilepsy, multiple sclerosis, stroke neuromuscular disorders and neurological complications of medical illnesses. Ryan Jacobson, MD is an assistant professor in the neuromuscular division in the Department of Neurological Sciences at Rush University. He received his medical degree from the University of Illinois. He completed his neurology residency at the University of Michigan where he was chief resident. He also completed his fellowship in neuromuscular medicine at the University of Michigan. He is primarily a clinical neuromuscular specialist, evaluating and treating patients with a broad range of conditions affecting the nerves, muscles and neuromuscular junction. 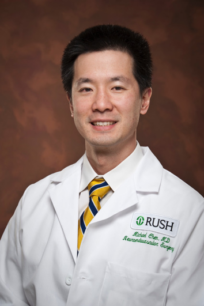 He is also involved in the education of medical students, neurology residents, and fellows at Rush University. Rabia Malik, MD is a neuromuscular attending at Rush University Medical Center. She is board certified in Neurology and Clinical Neurophysiology. Malik received her medical degree from Aga Khan University in Pakistan. She completed her Neurology Residency at University of Iowa Hospitals and Clinics in Iowa City, IA and then went on to complete a Clinical Neurophysiology Neuromuscular fellowship at UCSF Medical Center in San Francisco, CA. She is board certified in neurology and Clinical Neurophysiology. She is a member of the American Academy of Neurology and the American Association of Neuromuscular and Electrodiagnostic Medicine. Currently, Malik serves as the EMG liaison for the Rush Clinical Neurophysiology Fellowship. She has a busy clinical practice in the Neuromuscular Section and performs diagnostic EMG studies as well as skin biopsies. 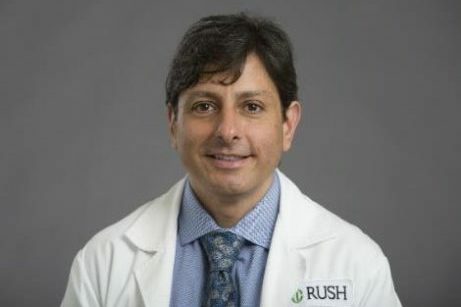 Gian Pal, MD, MS is an adult neurologist and movement disorder specialist at Rush University Medical Center in Chicago. 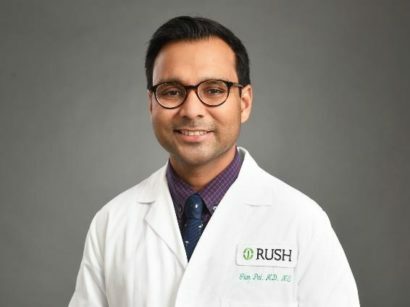 He received his MD from Robert Wood Johnson Medical School, completed his residency at Georgetown University, and then came to Rush University to complete his movement disorders fellowship and a master’s degree in clinical research. His main area of clinical expertise includes surgical treatments for movement disorders, particularly deep brain stimulation. He conducts research primarily in two areas. His work in Parkinson’s disease (PD) focuses on understanding the cognitive effects of deep brain stimulation (DBS) in genetic forms of PD. In collaboration with a gastroenterologist, Ali Keshavarzian, MD, Dr. Pal conducts research aimed at understanding the role of the gastrointestinal system in the pathogenesis of PD. His research has been funded by the Parkinson’s Disease Foundation (PDF), Cohn Family Foundation, and the Department of Defense. He regularly presents his research at national and international meetings including the American Academy of Neurology and the International Congress of Parkinson’s Disease and Movement Disorders. 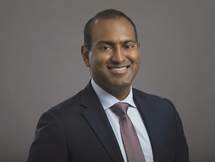 Clement Pillainayagam, MD is an assistant professor of Neurological Sciences at Rush University Medical Center in Chicago, with a specialty in neuro-oncology. He received his medical degree from Michigan State University- College of Human Medicine and adult neurology training at The University of Texas Health Science Center- Houston. This was followed by a neuro-oncology fellowship at The University of Texas MD Anderson Cancer Center. His clinical practice includes treating patients with primary brain tumors, as well as addressing the neurological complications of systemic cancers. His research interests include finding novel therapeutics for primary brain tumors. 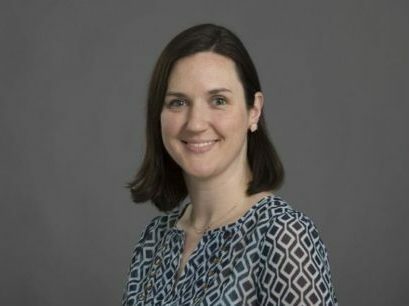 Megan Shanks, MD is a general neurologist, and an assistant professor in the Department of Neurological Sciences at Rush University Medical Center. She graduated from Northwestern University, and received her MD from Rush University Medical College. She completed her neurology residency training at UCSD, followed by a Neurophysiology fellowship at Cleveland Clinic. She is board certified in neurology, with subspecialty certification in neuromuscular disease, and Headache certification pending. She is active in education at Rush, and received the A.B.Baker teacher recognition award. Her clinical interests include headaches and migraine, stroke, neuromuscular disease, multiple sclerosis and other autoimmune neurologic disorders. 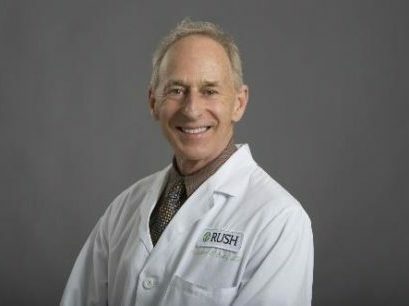 Michael C. Smith, MD is the Director of the Rush Epilepsy Center, Professor in the Department of Neurological Sciences and senior attending neurologist at Rush University Medical Center in Chicago. Dr. Smith teaches at Rush Medical College and is involved in both clinical and basic research in epilepsy. His research interests include the study and prevention of epileptogenesis and the development of new surgical and diagnostic techniques for the treatment of patients with epilepsy. In addition to adult epilepsy, Dr. Smith is also interested in pediatric epilepsy and its effect on brain function development. His clinical practice focuses on all aspects of epilepsy. Dr. Smith is committed to improving the lives of patients with epilepsy and investigating new avenues of treatment and research. 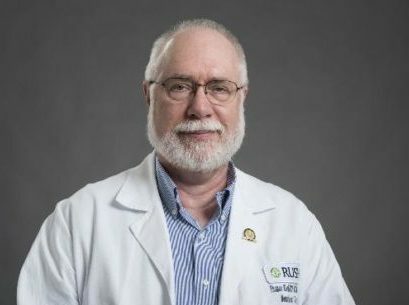 A visiting professor at the epilepsy minifellowship at Wake Forest University in Winston-Salem in North Carolina, Dr. Smith frequently lectures at academic medical centers and national meetings. He is the author of more than 35 papers and book chapters focusing on epilepsy. He is the recipient of Dartmouth’s Thomas P. Almy resident of the year award, the Alpha Omega Alpha Society award and the Nathan Smith Davis award for teaching excellence. Dr. Smith is actively involved in a number of epilepsy groups and is a board member of the Epilepsy Foundation of America, the Epilepsy Foundation of Greater Chicago, and J. Kiffin Penry’s Epilepsy Minifellowship Program. He is also a member of the American Academy of Neurology, the American Board of Clinical Neurophysiology, the American EEG Society, the American Epilepsy Society, the American Society of Neurologic Investigation, the Chicago Neurological Society and the New York Academy of Sciences. Dr. Smith completed an internship at Cook County Hospital in Chicago, a residency at Dartmouth in Hanover, New Hampshire, and a fellowship at Rush Medical College, also in Chicago. He also served in the National Health and Services Corps. Dusan Stefoski, MD a Fellow of the American Academy of Neurology, has been doing novel research in the field of multiple sclerosis (MS), both original and collaborative, with researchers in the USA and internationally. In association with Floyd A. Davis, MD, he is the co-inventor of dalfampridine’s therapeutic efficacy in MS, leading to its approval under the US trade name Ampyra (Acorda Therapeutics) and Fampyra elsewhere (Biogen Idec) as the first-ever functionrestoring treatment to improve walking and leg strength in people with MS. Dr. Stefoski, with his team of professionals, specializes in advanced and experimental treatments for MS. Among these are immune ablation, natalizumab, cladribine, dimethyl fumarate, fingolimod, alemtuzumab, mycophenolate, cyclophosphamide, and intrathecal baclofen. Research involvements include immunologic phenomena in MS and Devic’s disease, and testing new treatment modalities for MS and PML. In addition to having contributed to over one hundred scientific and scholarly publications, he has served on the review boards of professional journals, including Neurology and Archives of Neurology. He lectures nationally and internationally. Aimee Szewka, MD is an assistant professor in the Departments of Neurological Sciences and Ophthalmology at Rush University Medical Center. She received her medical degree from Indiana University. She completed her Neurology residency at Rush University Medical Center and then completed Neuro-Ophthalmology fellowship training at Emory University. She is currently practicing neuro-ophthalmology at Rush University Medical Center. She is an active member of the American Academy of Neurology and a Fellow of NANOS (North American Neuro- Ophthalmology Society). She is the Assistant Dean for Clinical Education for Rush Medical College and is actively involved in resident and medical student education. She provides Neuro- Ophthalmology curriculum to Neurology, Ophthalmology and Neurosurgery residents yearly and teaches medical students on a regular basis as well. 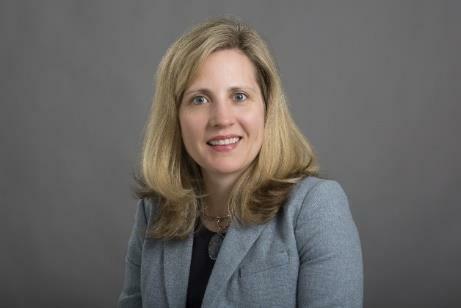 She has received numerous teaching awards from residents and medical students, as well as the AB Baker Teaching Recognition Award from the American Academy of Neurology. Biomedical Sciences at Barry University. He received his medical degree from the University of Illinois at Chicago College of Medicine, and also completed his medical internship and neurology residency there, serving as Chief Resident in his final year. He is a member of the American Academy of Neurology and the American Heart Association / American Stroke Association.